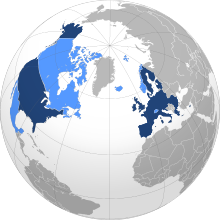 The Transatlantic Trade and Investment Partnership is a proposed free trade agreement that is being negotiated between the European Union and the United States. This commercial pact has become quite controversial between those groups who fear the loss of more national sovereignty and other elements of society, who favor widening opportunities for trade and investment on both sides of the Atlantic. As the individual economies of Europe and the United States continue to struggle to return to more normal growth, the public interest and controversy in this trade accord continues to rise. The European Union (EU) and the United States (U.S.) together represent 60% of global GDP (Gross Domestic Product). A new agreement would effect the 33% of world trade in goods and 42% of world trade in services. There continues to be a number of conflicts between the 2 economic behemoths, but it usually deals with less than 2% of the total trade between them. Both economic powers are quite dependent on having access to relatively open markets in each others territory. A free trade area between them would represent the largest regional free trade accord in history, covering an estimated 46% of world GDP. For those individuals who support the agreement, the claim is that it will be an impetus towards more economic growth for both the Americans and the Europeans. The European Commission asserts the passage of the treaty could boost trade between the two economic blocs by as much as 50%. 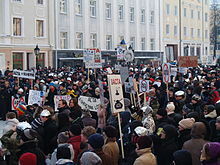 Critics on the other hand, fear the commensurate rise of corporate influence and power if the treaty comes into force. In addition, they claim the Transatlantic Trade and Investment Partnership (TTIP) will make it increasingly difficult for individual governments to regulate domestic markets. 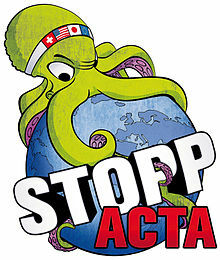 The United States government at this time considers TTIP as a companion agreement to the Trans-Pacific Partnership. American investment in the EU for example, is 3 times greater than U.S. investment in all of Asia. On the other hand, EU investment in the U.S. is 8 times that of corresponding investments in India and China combined. Intra-company transfers are estimated as of 2015, to represent a third of all transatlantic trade. The public contention became more widespread, after a projected draft was leaked in March of 2014. There are always sectors of an economy that will take a hit, when a trade agreement goes into effect. A final draft is supposed to be ready for ratification sometime in 2016. The concluding pact greatly matters, considering that both Europe and the United States are the largest trading partners of most other countries in the world. Together, they account for a third of world trade flows. If one considers the remaining trade barriers in the form of tariffs which are now under 3%, it is quite clear that the negotiations will need to focus on other impediments to trade. From the European side one can divide the areas of negotiations into 3 broad categories. They together deal with market access, specific regulations, broader rules and regulations with conditions of cooperation. Concerning market access, the present focus is on removing remaining customs duties on goods and the restrictions on services. Efforts will also be made in improving access to public markets, as well as to make it easier to invest across both economies. Industry specific regulation talks are concentrating on coordinating efforts to move towards one standard for both sides of the Atlantic. There is a movement to dismantle unnecessary regulatory barriers in addition to, an elimination of duplicate bureaucratic processes from both sides. Specific agreements need to be made with concern to cars, chemicals, cosmetics, electronics, machinery, medical devices, pesticides, pharmaceuticals, as well as barriers to agricultural products and food. The final category which is broader rules and cooperation, deals with the move towards a single international standard on a broad category of agenda items. This will include an array of topics from energy and raw materials to intellectual property. It will also cover issues like trade remedies for specific problems for example, the illegal dumping of merchandise and other unfair practices. The treaty has been part of an ongoing process for the last 12 years. Europeans are pushing hard for greater access to financial markets in the United States, while the Americans are insisting on far greater access for agricultural exports to 500 million European customers. Corporations are anxious on both sides of the Atlantic, in anticipation of a new combined market of some 820 million customers. Proponents of the treaty insist it will add an additional 0.5% to the economies of both Europe and the United States. Along with more economic growth will come an expansion of jobs which is of a paramount concern, especially in areas of Europe with stubbornly high rates of unemployment. Benefits to the agreement will be somewhat uneven. Although German car exports to the United States from Europe may well double, this will at the same time reduce the demand for domestic cars in the U.S. As a result competition for American automakers, will become even more intense. The same is true for American farmers and agricultural exporters. An additional influx of American food products will price a number of European producers out of the market. There will be winners and losers across various sectors of the economy. The biggest problem with the trade negotiations is deregulation. Many rules exist as a clever way to provide protection for particular industries or segments of the economy. Opponents to the upcoming treaty will insist that eliminating barriers will threaten consumer and data protection measures, health, the environment and in some cases social rights. There are some that fear that the tenements of the pact will have unintended consequences, that might have dire results. An example of this is the publicly owned National Health Service, in the United Kingdom. If United States companies are permitted to run various parts of the organization will it lead to eventual privatization of the whole enterprise? If one carves out another exception to this case as was done with audio-visual services to protect the film industry in France, what will the Americans demand in return? The list of exemptions is already large, including areas like genetically modified (GM) foods and hormone laced beef products from the United States. Chapter 11 Of NAFTA (North American Free Trade Association) Includes An Investor-State Provision. An even bigger impediment for a deal is how the ISDS (Investor State Dispute Settlement) will function. The agency will in theory, permit individual companies to file legal proceedings against governments, that are attempting to provide protection to domestic firms. The basis for the claims, will be based on the loss of future profits for a company. This could easily lead to an abrogation of national laws and subjugate sovereign governments to corporate interests. Proponents will argue that it is the only way to ensure that there will be an actual free movement of goods and services, as required by the articles of the treaty. That the negotiations are being held in secret, increases anxiety and does little to allay fears of an erosion of democratic processes in favor of corporate interests. Some countries have already stated for example, that the inclusion of the ISDS as part of the final pact makes acceptance of the entire treaty much more problematic. All 28 countries in Europe will need to acquiesce to the various articles included in the larger accord. The new government in Greece has already publicly stated that it has no intention of approving this new Trans-Atlantic partnership. Passage is by no means assured in the United States either. There are strong political constituencies that will put pressure on the American legislature,to torpedo the entire effort. It is unclear at this point if the multitude of factions can ever be accommodated, to allow passage of this mammoth effort on expanding trade and investment.